The role of an agency and how to select the right one. Tuesday 19th February – 6.30pm to 9.30pm Nir Keren, Ella McNamara, Gina Marie Madow, Alex MacNab and Ben Sayer will be attending this day plus experienced intended parents! Thursday 21 February - 6.30pm to 9.30pm Nir Keren, Ella McNamara, Gina Marie Madow, Alex MacNab and Sarah Jefford will be attending this day plus experienced intended parents! Friday 22 February – 6.30pm to 9.30pm Nir Keren, Ella McNamara, Gina Marie Madow, Alex MacNab and Stephen Page will be attending this seminar plus experienced intended parents! 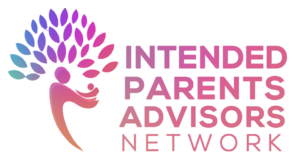 IPAN is a Collaboration of professionals dedicated to providing Intended Parents with the best information on the best options for building families. We believe the best person to choose the right family building options is YOU, we make sure you have the best information to help you make that choice. We have assembled a team of some of the most well-regarded advisors and surrogacy lawyers from around the globe to provide you with up-to-date.